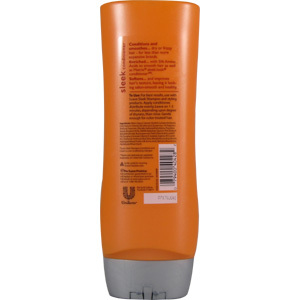 Conditions and smoothes...dry or frizzy hair - for less than more expensive brands. Enriched...with Silk Amino Acids to smooth hair as well as Matrix sleek.look conditoner. Softens...and improves hair's texturel, leaving it looking salon-smooth and healthy. 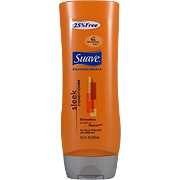 For best results, use with Suave Sleek Shampoo and styling products. Apply conditioner, distribute evenly. Leave on 1-3 minutes, depending on degree of dryness, then rinse. Gentl enough for color-treated hair. 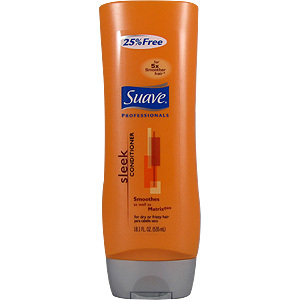 Sleek Conditioner is shipped in a discrete, unmarked package. Orders are processed immediately and usually take about 3 to 5 working days to be received. We do ask that you try it for 2 to 3 weeks to feel the full effects. Any information received is used only for order processing and shipping purposes. Your information, such as e-mail address, will never be disclosed to a third party.